If Nike has recently introduced the new Nike Mercurial Vapor IX for speed-oriented players on the big pitch, this time around the Swoosh folks brings their attention to the arena of small-sided games such as futsal and street football. 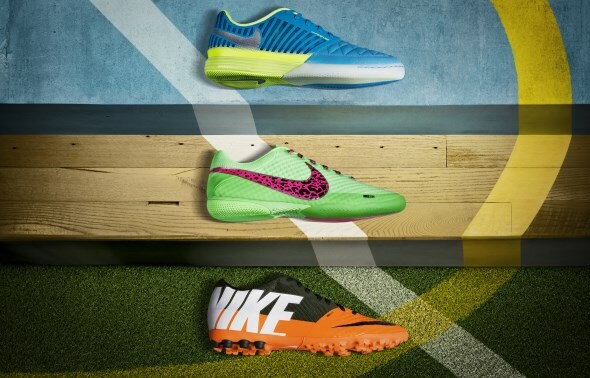 This resulted in three different shoes that are catered for different surfaces: Nike Bomba Finale II, Nike Elastico Finale II and Nike Lunar Gato II – all unified under the new Nike Football FC247 collection. For starters, the Nike Bomba Finale II is designed for turf surfaces and boasts 27-percet fewer components than the original Nike5 Bomba Finale which in hand resulted in 10-percent reduction in weight. The weight improvement is also due to usage of a polyurethane skin layered over performance mesh – dubbed as the NikeSkin technology – on the shoe. 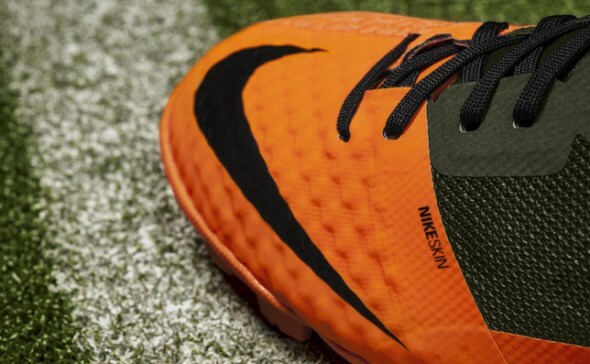 Additionally, the Nike Bomba Finale II also features Nike’s All Condition Control technology that provides equal level of friction in both dry and wet conditions for consistent ball control. 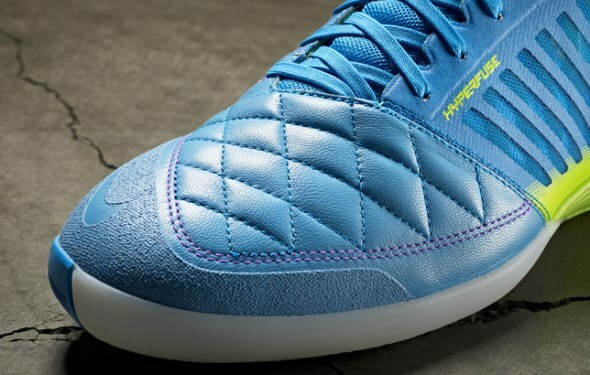 Click on the Read More link below to learn about the rest of Nike Football FC247 shoes. 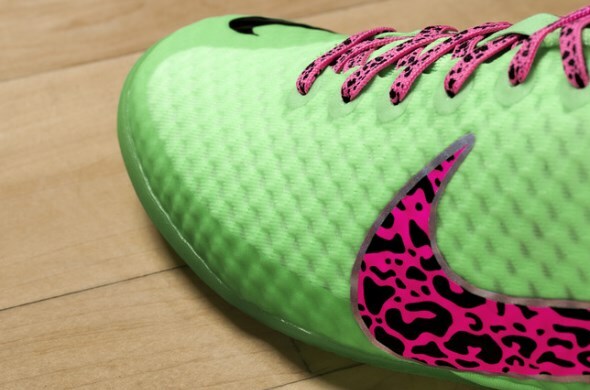 Meanwhile, the Nike Elastico Finale II is designed for hard-court surfaces and features 39-percent fewer components as well as 22-percent lighter than its predecessor. Equipped with the same NikeSkin tech as per Bomba Finale II, Nike Elastico Finale II also comes with more flexible outsole together with a herringbone and dot design to maximize traction and also helps improve underfoot ball control. Not to forget, the shoe also contains breathable upper and heel as well as a redesigned eyestay – all for optimized comfort and feel. To complete the Nike Football FC247 collection, the Lunar Gato II also features significant improvement over its predecessor by having 33-percent less components and being 16-percent lighter. Designed for fast and dynamic game on all types of surface, the usage of supple and soft leather on its upper is aim to provide better ball-to-feet feel and eliminate break-in period. The Nike Lunar Gato II is also equipped with contoured sock liner to better fit and fused mesh panels to lock down one’s mid-foot in order to maximize lateral support. Just as how its name suggests, Nike has retain the usage of Lunarlon on its sole. All three Nike Football FC247 shoes will be heading to Malaysia this coming April with a price tag of RM 359 for Bomba Finale II and Elastico Finale II, while the Lunar Gato II will be priced at RM 309. Keep a close look at Nike Football Malaysia’s Facebook page for further updates.